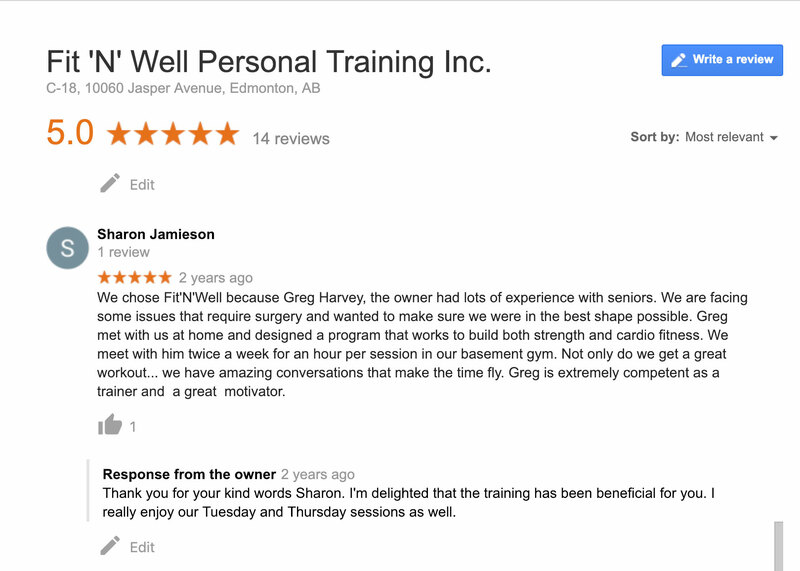 At Fit 'N' Well our certified mobile personal trainers have been providing fitness training in homes, condos, businesses and select gyms in Edmonton and area since 1998. September 3, 2018 was our 20th year anniversary in business. In-Home Personal Training- We see a lot of clients in their homes. Here are a couple more common scenarios. You get out of bed and have a quick snack, start warming up on a bike or treadmill. Your mobile personal trainer comes to the door, puts you through an hour long work out then you shower, have breakfast and go to work. It is that easy. Some people aren't early risers and although their intentions are good, they find it difficult to constently exercise in the morning before going to work. If you know you have an appointment with your trainer it is much easier to get motivated to get up, and work out, then your exercise has been taken care of for the day and you can get on with your work day with one less thing to think about. Come home from work, have dinner, your mobile personal trainer shows up, you have a fun work out, then carry on with your evening. It is too easy to get home from work, eat then sit on the couch. Once on that couch it is difficult to muster the motivation to work out with consistency. -You don't have to fight traffic to and from the gym. That alone can easily eat up 40 minutes to an hour of your day. -Finding the motivation to work out is easy when your personal trainer shows up at your door. -No montly gym dues. You can invest in fitness equipment instead that will last for many years or the rest of your life. -Better use of your personal time. Take off the commute to and from the gym and you can easily gain an hour every day when you factor in checking in at the gym, going up to the change room, changing, working out, then showering and changing again. On the south side, Fit 'N' Well provides personal training out of the Terrace Fitness and Racquet Club. within The Radisson Hotel Edmonton South. We also train people in Edmonton public facilities. Fit 'N' Well has been managing the Scotia Place Fitness Centre since its inception in Scotia Place in September, 2001. In 2011 we opened the EPCOR Tower Fitness Centre. We provide personal training services in both Scotia Place and EPCOR Tower fitness facilities. 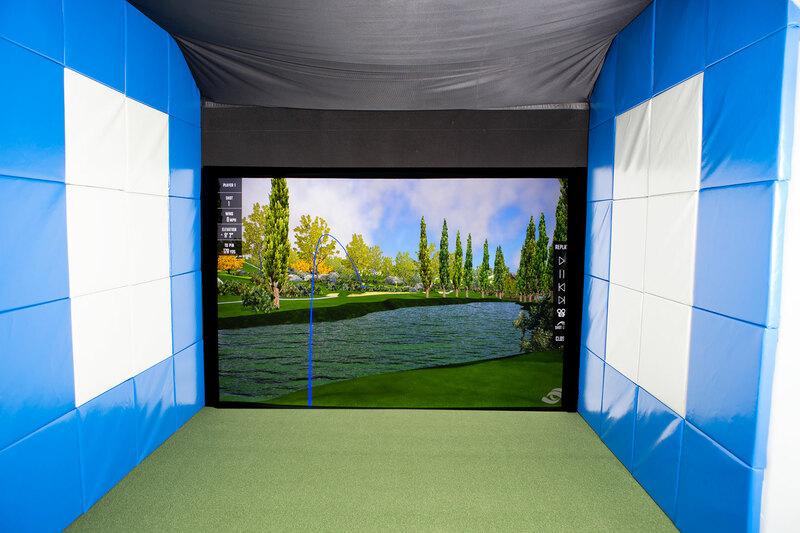 The Scotia Place Fitness Centre has upgraded their Golf Room. We now have a state of the art golf simulator. You can play games of virtual golf on five different courses. How can our personal trainers help you? Our personal trainers specialize in weight loss. Our fitness training have also helped seniors regain a lot of the strength and vitality they had in their earlier years. Since 1998, our male and female personal fitness trainers have helped people achieve all kinds of fitness and health goals. 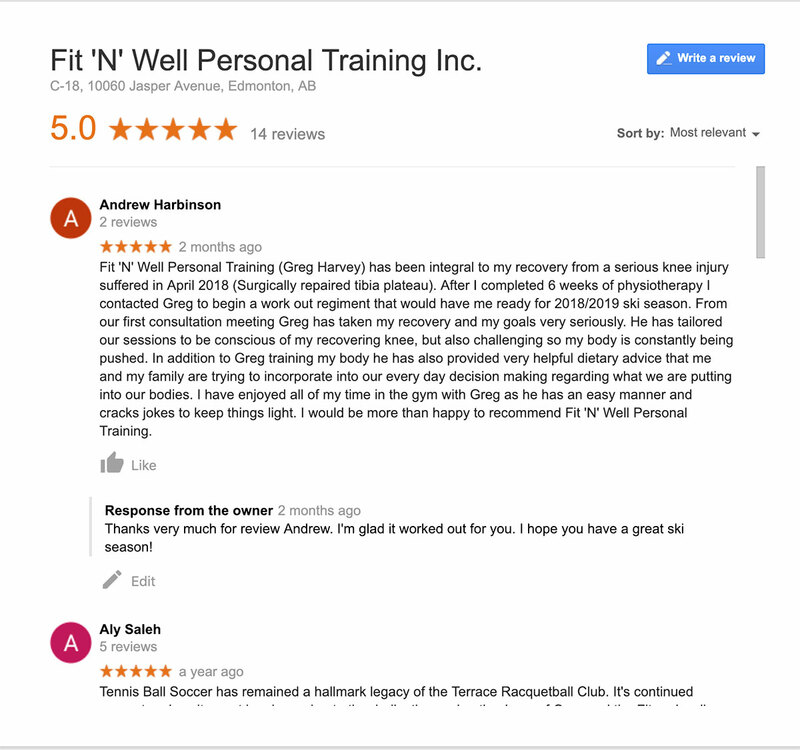 At Fit 'N' Well your personal trainer has all kinds of different approaches to help you acheive your fitness or weight loss goals in a way that suits your personality and comfort level. For the past decade we have been offering drop-in tennis ball soccer three times a week for our clients and other soccer enthusiasts. The drop in soccer is included in the admission at the Terrace Racquet and Fitness Club and is open to everyone. Philosophy- In the era of "beach body" promises, short cuts and drugs, a lot of companies are promising results regardless of the cost. Some times those results are short lived if at all. We believe in helping people achieve their weight loss and fitness goals in a healthy and effective manner. Short term gain for injury and potential long-term loss is not what we are interested in. We are more interested in seeing people make lifestyle changes for permanent weight loss results. We provide on-going fitness training for maintenance and improvement. I can't count how many times people have raved about how they lost 40 pounds on a particular diet. If the diet was so effective they wouldn't have gained the weight back and would still be on it. You can lose the weight. You can learn how to manage your weight and learn how to create eating and exercise habits and patterns that you enjoy and can sustain, thus staying fit and healthy long-term. Ethics is not something companies often advertise as it often means doing what is right long-term before what is profitable. short-term. Much of it is simple really. We treat our clients the same way we would like to be treated if we were in their shoes. 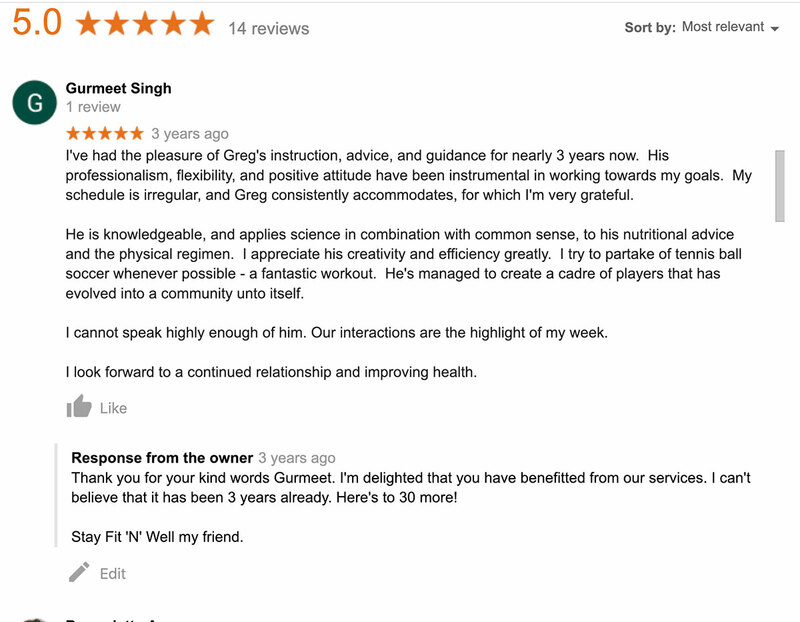 Call today and book a free fitness consultation and see for yourself why we have stayed busy since 1998.